A Lakeview Walgreens store was robbed at gunpoint Thursday evening by a man who escaped with a “significant” amount of cash, according to Chicago police and a source. The offender entered the store at 1001 West Belmont around 8:20 p.m. and displayed a handgun, police said. He took employees to the rear office where he collected the store’s cash into a black bookbag before running out, according to the source. No one was injured. Police described the robber as a black man in his 30’s or 40’s who stands about 5’9”tall. He was wearing a baseball hat, a black hoodie, acid wash jeans, and brown shoes. The store recently re-opened after being damaged by a fire that was intentionally-set in its paper goods aisle. A paroled arsonist has been charged with starting the blaze. 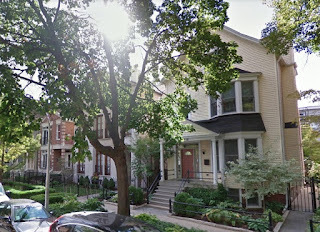 Police said a man was robbed at gunpoint by two strangers who asked him for a cigarette early Thursday in Roscoe Village. The man was in the 1700 block of West Melrose around 12:15 a.m. when the men approached him from behind. After asking for a smoke, one of the men put a gun to the victim’s head and robbed him, police said. The two then fled east and disappeared at Paulina, the victim reported. One suspect was described as black, 5’7” tall, with a medium build. He was wearing a red hat and had light facial hair. The other man was black, thin, stood about 5’9” tall, and had dreadlocks. He wore a black t-shirt with a design on the front. Two men battered a woman and stole her backpack near the Jewel-Osco store at 4335 North Sheridan on Sunday evening. The men then ran northbound in an alley behind Hazel Street. The first suspect is a white man who wore a gray skull cap, gray button-down dress shirt, and jeans. The second man was black, in his mid-20’s and he had long dreadlocks, the victim said.